We love this stuff! I always make this whenever I have a lot of leftover beans. So far, our favorite beans to use is: pinto, black and red beans. They bring out a lot of flavor while the white beans are less tasty and more starchy. We still have to try garbanzo, kidney beans and lentils… hopefully I’ll get around to trying those soon. Remember my post about the benefits of lacto-fermented foods? The proliferation of lactobacilli in fermented vegetables, fruits, legumes and grains enhances their digestibility and increases vitamin levels. Most beans are known to be high in starch and sugars, but the good bacteria converts the starch and sugars into beneficial lactic acid (a natural preservative that inhibits bacteria). Ok, why would anyone want to lacto-ferment their veggies, fruits, legumes and grains? Because it is possible to preserve our foods in a “living & raw” state. The typical preserved or “canned” food you get at the store or make at home are not really considered “living & raw” food because they are normally exposed to heat. I used black beans this time around and this stuff is great for any Latin American meal. It is great with breakfast burritos, chips and salsa, beef tacos and salads. My favorite is corn tortillas, sunny-side up eggs, bean paste, chopped tomatoes, cilantro and lime juice. ¡Delicioso! This recipe is from Nourishing Traditions. If you don’t have that book, order it today! Put onion and garlic in food processor or blender and give it a whirl till well chopped. Add remaining ingredients and process until smooth. Place in quart-size, wide-mouth mason jar, leaving 1 inch of space at the top (important!). Cover tightly and leave at room temperature for about 3 days before transferring to the fridge. I always add more beans than what the recipe calls for, but I don’t change anything else. If you want you can decrease the amount of salt to 2 tsp. for one quart. We LOVE the salty flavor, but some might find it overpowering. NOTE: It is important that you watch the beans… if the lid starts to pop out from the pressure. Open slightly, let some out the air and close it tightly again. The first bite always has a fizzy feel in the mouth, but don’t worry! It is still good… trust me, you’ll know when it is bad because you won’t even want to smell it. Great post! Bean paste is so underappreciated. Thanks. Belinda – Thank you! I total agree with you. Bean paste has much to offer. I am planning to play around with it in the near future. Hello, I was Googling fermented bean paste and I saw your rave. My first husband was from South Korea and we loved the black bean paste sauce with our chinese noodles. I just finished off a serving of dark brown soybean fermented paste type of sauce (I added some lard and spelt flour for thickener and some chicken broth to make the base of the sauce). It was delicious. This jar of bean paste has been sitting on my cupboard shelf for over a year and it is still “fresh”. I never thought of making it myself and since I have a bunch of adzuki beans I’m considering it. 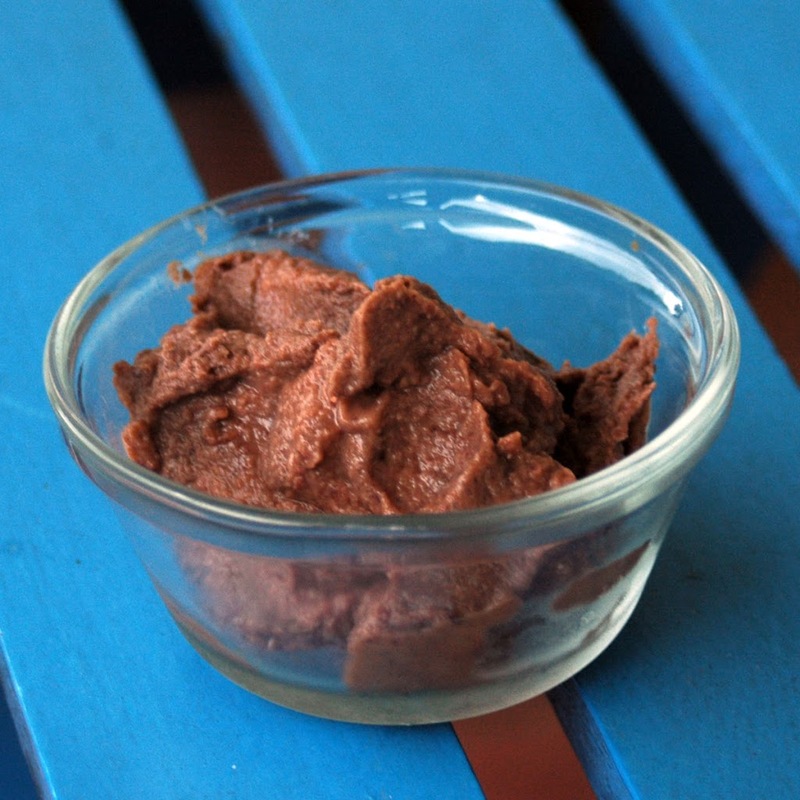 What if instead of whey I simple add a tablespoon of the already fermented paste as a starter? I have never thought about using already fermented paste as a starter. It wouldn’t hurt to try! We would never know unless we experiencment with it :o) Go for it and let me know how it tastes! By the way, the bean paste you were describing sounds delicious! Would love a jar of that to try!! Adzuki beans are recommended in Dr. Peter D’Adamo’s blood type based diet preferences as a good bean for the “O” blood group, hence the reason why I purchased them in the first place. Koreans typically use adzuki beans in a sweet bean paste filling for their delicious dumplings, etc. But I am interested in seeing what their shelf-life would be if fermented. And, as you say, fermented beans are a lot better for the body than unfermented beans. Have you ever tried the Korean fermented cabbages and radishes? Some are very tasty. I’ve never had Adzuki beans, but would love to try. We love fermented beans around here and it is so tasty! I’ve never tried making Kimchi or anything like that. I mostly make the latin american kraut (on my blog) and many other things. I would like to try radishes… I’m not a big fan but I might like them better if they are fermented… have a recipe? When prepared correctly it is very zesty and zingy! we have the opportunity to milk some cows (and bring home the milk/cream… so excited) in the area and really wanted to try this recipe with the whey… took forever for me to find it again, though. you’re slowly winning us over to the healthy side. WOO HOO!!!! Yeah! You guys will LOVE the bean paste… SO stinking GOOD!! Just be careful as it can be kinda explosive. Just make sure there is a lot of room between the bean paste and the lid. It will expand. Wow, no comments for 3.5 years…will anyone read mine??? I just made this a few days ago from the same book with no real idea what I’d do with it or how it’d come out. I used black beans as well. My whey came from buying a low/non-fat yogurt from the supermarket and strained it through cheesecloth at room temp for 5hrs. It seems to have worked because after 2-3 days in a warm place (my oven with only the inner light on) I could see bubbles forming on the inside of the glass (I used ball jars 1-pint + 1-quart from using one full bag of dried beans). So, I just put them in the fridge. There is a slight white coating on the top surface of the beans……….IS THAT BAD? Does anything I said I did above seem odd or wrong? Could I have left it out longer? Serving it with just tostito-type chips as a dip is good if I just let it warm to room temp right? Thanks!! I’ll definitely be checking out your blog! the best way to know if your bean paste is good is by the smell. Does it smell good or rotten? Next time, I do not recommend using whey from store bought yogurt. Pastuerized dairy and whey don’t work the same way because many of the beneficial bacteria aren’t there. How long will the bean paste keep in the fridge? Hello Raquel, I think the paste should last for several weeks… but I am not totally sure because we eat ours up in less than two weeks! Hello! So glad you are making bean paste. Yummy stuff!! No, I’ve never used RACV. I don’t see what you couldn’t. It will probably change the flavor a little, but it will provide the natural bacterial needed to help the fermentation along. You can also use whey from milk kefir as there is bacteria in that even though the milk is not raw. I would give both a try in small batches and see which works best before moving forward to making a large batch. Let me know if you use the RACV and if that worked!! Lifeway kefir is generally a good commercial product as far as something that says “live active culture” and actually contains enough live bacteria to grow a culture. Stick with the unsweetened varieties though. Anything with sugar and live cultures is suspect, because if it was really live, the bacteria would consume the sugar and produce more lactic acid. It’s possible to have a sweet product with live cultures, but it’s not likely. Excited to try fermented legumes.